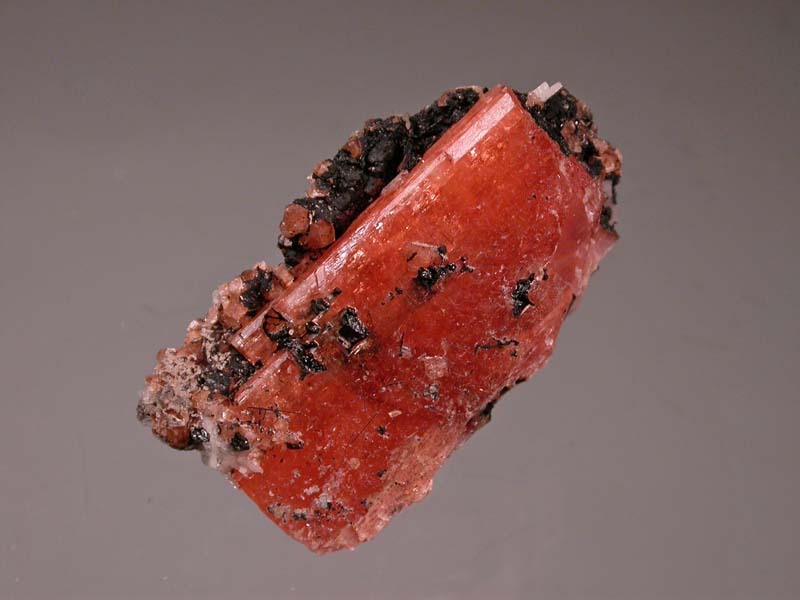 A candy-orange prismatic crystal of serandite that is terminated at the right end. It is really just half of a crystal with the faces that you see in the pho as the only complete faces. Excellent luster. There are smaller serandite crystals around the top and right side of the crystal, in the photo, partially coated in a black manganese oxide in the photo.